REPAIR WHIPPED OIL | A dual purpose moisturizer that acts both as nourishing day cream and rich night cream to reduce redness, hyperpigmentation, and dryness. 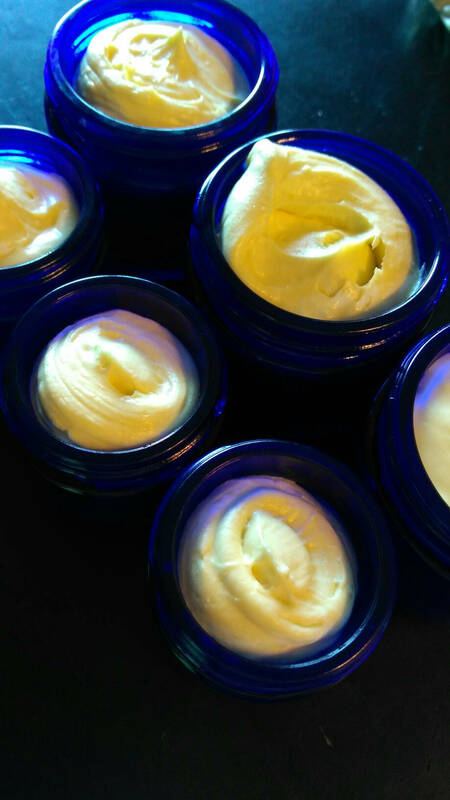 Bergamot + Jasmine | Both essential oils lend themselves to soothing and evening skin tone. This decadent whipped oil is formulated to deeply nourish parched skin while softening and repairing past damage. Thick in texture, but melts into a silky oil upon contact with skin. Organic Helichrysum Essential Oil and Organic Turmeric work together to improve the look of uneven tone and texture. Turmeric is also said to help reduce the appearance of unwanted facial hair. Great for all skin tones + types + textures. Organic Maracuja Oil is amazing at evening skin tone and texture. Bear's Beauty products are not made for specific skin types, but for specific skin issues and concerns. 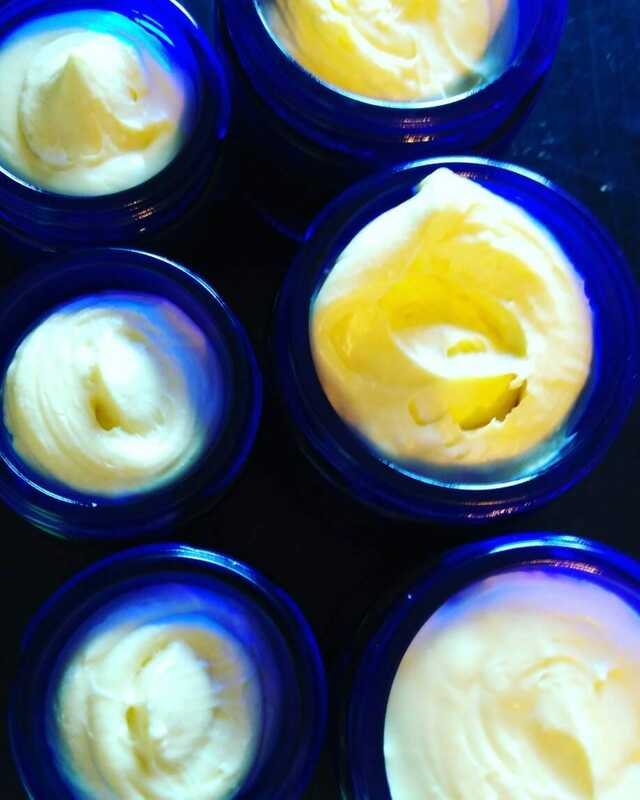 I formulate every product with truly sensitive skin in mind. Rich + Thick without clogging pores. Reduces the appearance of scars + hyperpigmentation + fine lines. Organic Maracuja is one of the few oils that has very high concentration of Vitamin C. Vitamin C evens skin tone + brightens + reduces scarring + encourages cell renewal + reduces redness + increases collagen production. Organic Helichrysum is also known as "Immortelle" and it is amazing for everything from wrinkles + age spots + scarring + bruising + and even helps reduce the appearance of redness + acne. 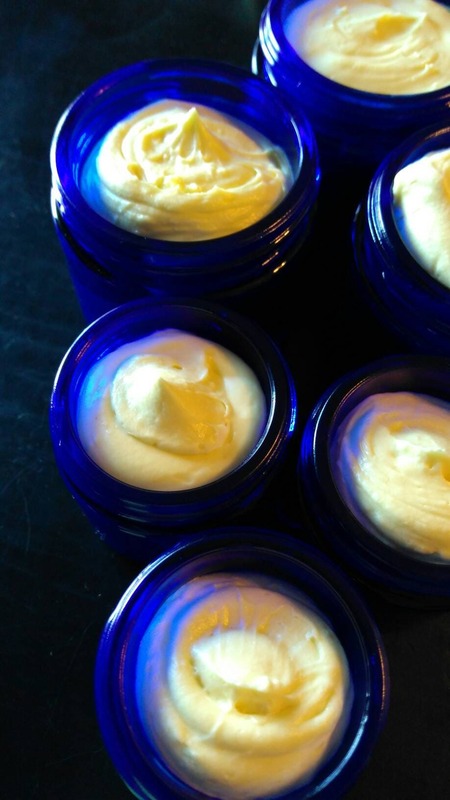 This “jack of all trades” of the essential oil world is the star of this night cream. Used in a concentration that is truly beneficial instead of ornamental. Organic Turmeric helps combat scarring + is anti inflammatory + reduces excess oil and some studies have shown that turmeric helps reduce excess facial hair in women with PCOS, lightens scars, and evens the appearance of skin tone. Organic Sea Buckthorn is packed with over 80 botanical compounds that regenerate + renew + brighten + improve skin’s texture, including an Omega Fatty Acid that is very rare. Apply to cleansed skin at night before bed by gently pressing into skin. Use a small amount, 1/2 a pea size and allow to soak in. Great applied over any HYDROSOL. You can always apply more if you need to. This is also lovely as a neck or hand moisturizer. ⚠️External Use Only. Keep away from kiddos and pets. Discontinue use and consult your doctor if irritation occurs. Avoid Eye + Mucous Membrane contact. Consult a Physician if you are pregnant + nursing. All statements above are for information purposes, Bear’s Beauty does not make any medical claims. Products not intended to diagnose, cure, treat, or prevent any disease or ailment. The information provided by Bear’s Beauty has not been evaluated by the FDA. All products are intended for Cosmetic Use Only. All text, copy, pictures, graphics,product names, and formulations copyright © Bear’s Beauty 2012-2019 all rights reserved. In order to fulfill your order, you must provide me with certain information (which you authorized Etsy to provide to me), such as your name, email address, postal address, payment information, and the details of the product that you’re ordering. 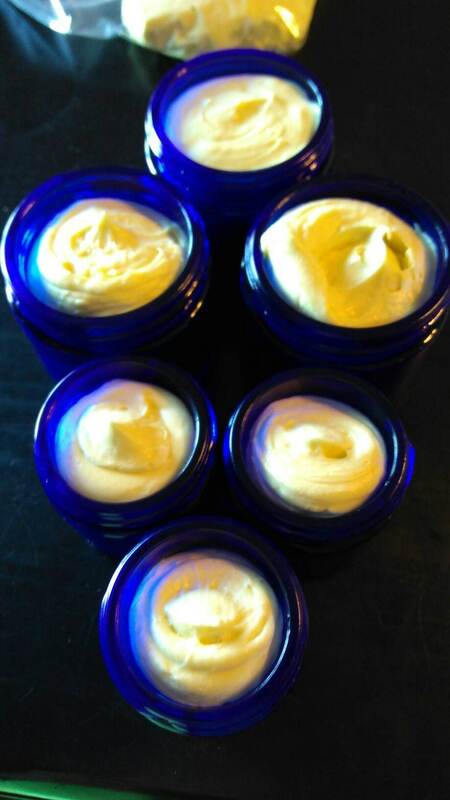 You may also choose to provide me with additional personal information (for a custom order of body butter, for example), if you contact me directly. I am happy to do custom work and encourage you to contact me. If you have allergies or just love a particular scent, I am happy to oblige for a nominal fee. Many items are composed of delicate floral waters and botanical oils. Keeping your items in the fridge and away from direct light will greatly extend the life of the product. This is especially true for Hydrosols + Cremes + Cold Creams + Sprays + Butters (in the summer they may become liquid) + Coconut (Coconut becomes liquid at 76 degrees) + Cremes. I use Radish Root Ferment, a widely used natural preservative, but keeping your items cool + away from light will give you more time to use + love them. Oil-based serums should be stored away from direct light and refrigerated if you will not use within 4 months. I love expanding my business and offer many items for wholesale and distribution. Please contact me directly BearsBeauty@yahoo.com. What are the best products for me? Please message me here on Etsy and I will be happy to do a free consultation or a more in-depth full consult for $50. If shipping seems high, leave a note at checkout and overages more than $2 will be refunded. Message me for a free shipping code! It takes 1-3 weeks to make your item, especially in peak ordering times. Once your item is shipped, it arrives within 1-3 days in the US and varying time frames for international orders. Only Priority mail services come with insurance. If an item is shipped First Class and is stolen or lost, you will be responsible for that loss. It is not my responsibility to pay for goods stolen from your porch. Please pay for Priority shipping if you are at all concerned about items being lost or stolen. Returns are not accepted. Refunds are not issued. The nature of each product does not allow for it to be returned due to regulatory standards. In the case of damaged items, send a message on Etsy with your order number, name and a photo of the item and the outside of the package. A claim will be filed with the shipping carrier. All products that are damaged will be replaced at my discretion. If there is a quality issue please message in Etsy and each inquiry will be handled. If a package does not arrive as stated in your tracking please send a message and contact your local postmaster. We are not responsible for lost packages. Exchanges due to allergies will be handled on a case by case basis.